Impress your guest with a fancy dessert to end your corporate or private events. Marion from LES CRÊPES DE MARION will prepare her unique crepe cake for you. Crepe cakes are decadent classic French cakes made of several layers of paper thin crepes separated with delicious fillings in between. When correctly prepared, they are light, tasty and have a great texture. Furthermore, they don't take much time to prepare and do not require baking. 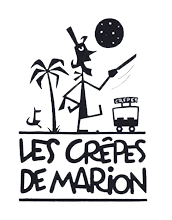 Here at LES CRÊPES DE MARION, we will prepare the cake to your likings in one of the following flavours: Chocolate Ganache, Salted Caramel or Creme Chiboust. 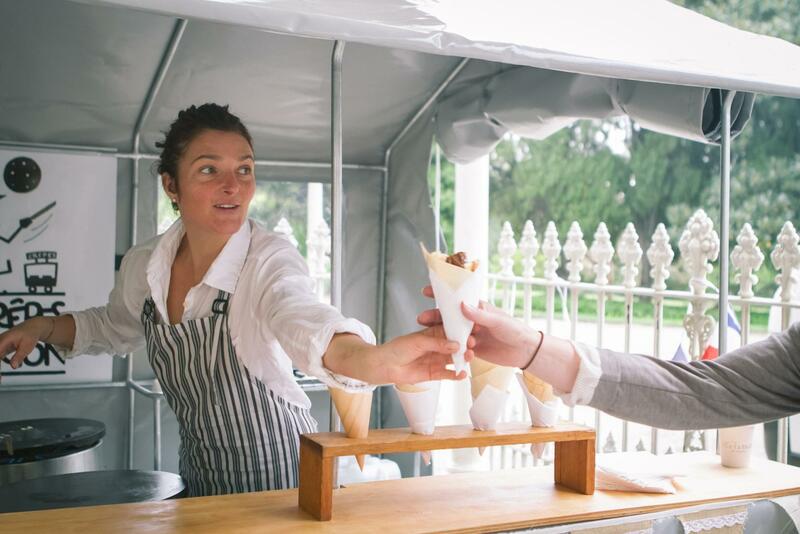 LES CRÊPES DE MARION caters for private and corporate events such as weddings, anniversaries, birthday parties, kids parties, corporate functions, open days, school fairs and more across Victoria. We serve a wide variety of crepes, both sweet and savoury, with different fillings. 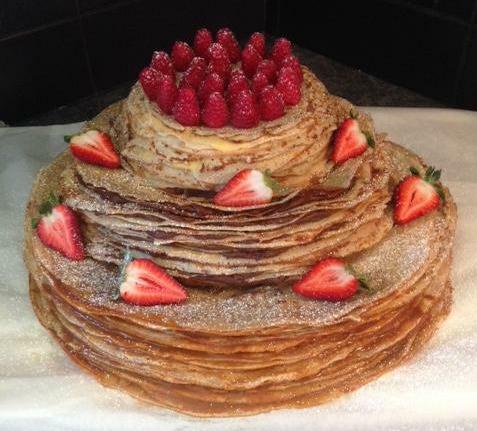 We also specialise in crepe cakes, the perfect grand finale to dazzle your guests.